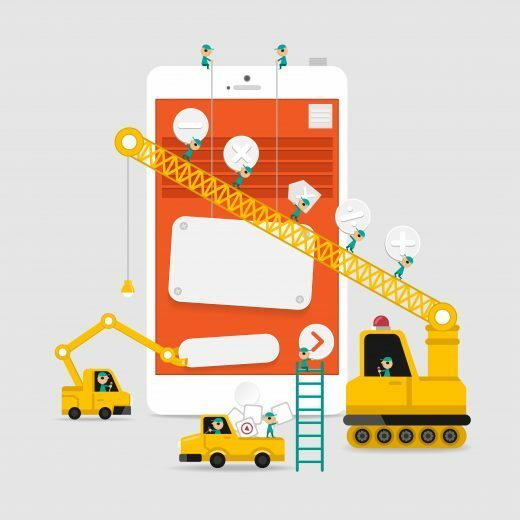 Your business needs to be mobile. It needs to be mobile-friendly, mobile-optimised, and ready for mobile conversions – how many times have you heard that in the last few months (if not years)? Last year we passed the mobile tipping point, and the internet officially saw more traffic from mobile devices than desktops – from that point onwards, every business has had to include mobile as part of their digital strategy if they wanted to remain competitive. Naturally, some industries are more competitive (or faster) than others, but it’s no longer a question of ‘if’ it will hit your industry or your business. It’s a question of ‘when’. Despite the latest Google updates and work to make sites responsive, there are still a lot of pitfalls when it comes to mobile sites. Conversion rates are lower, loading speeds are generally slower (especially in 3G areas), and navigating the mobile marketplace requires a brand new set of skills. We’ve already covered the fact that more traffic now comes from mobile devices than desktops, and smartphones are now the 2nd most popular device for searching the internet, while tablets are second (source: Global Web Index). But it’s not just mobile internet usage – apps, in particular, are becoming the default way to search and consume media. 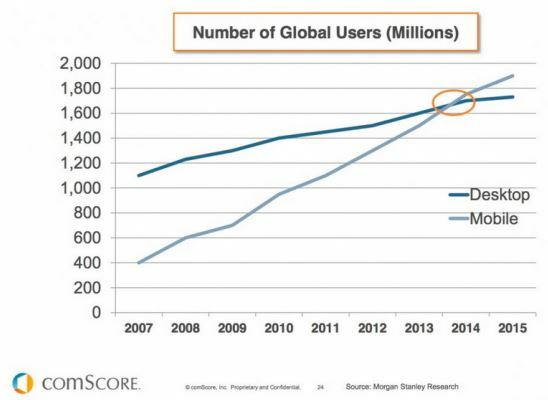 Information from Nielsen shows that customers have a strong preference for apps when it comes to searching online. ComScore research shows that mobile devices (smartphones and tablets) dominate usage at home, whereas consumers tend to stay on desktops when they’re at work. Research and conversions often happen out of business hours (depending on your industry), so missing out on mobile traffic could seriously damage your business. 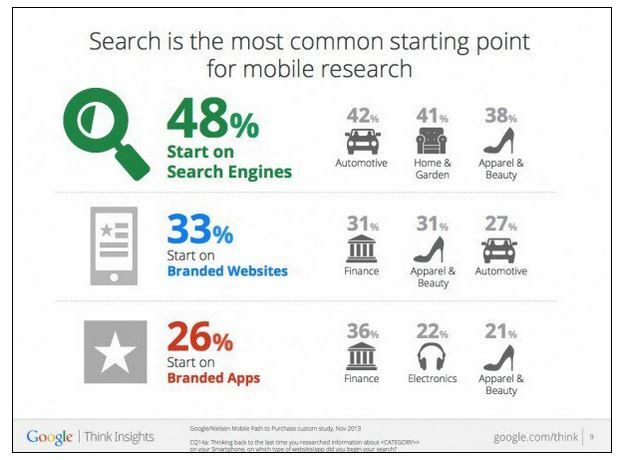 This is reinforced by the fact that 26% of mobile research starts on branded apps (confirmed by Google). If you’re not in the app marketplace, you could be missing out on interaction with over a quarter of your potential customers. Google’s latest algorithm, set to launch on the 21st April, will prioritize mobile-friendly sites in search results. This comes after the addition of icons to show which sites are mobile friendly, but the search benefits of being mobile-savvy don’t stop there. Quixey, a new search engine, will be a game changer for search. Rather than searching websites, this new technology will search apps, opening up the search environment to include apps and in-app content that previously could only be searched for in individual apps. This means that your app could be discovered just as people need it, rather than hoping to be shown according to Apple App Store’s algorithms or getting an exact match search or a download based on a mobile web visit. However, if you don’t have an app, you’ll be missing out on an entire section of SEO. $60 million in new funding means we’re just a little closer to this reality. Despite improvements in responsive sites, mobile conversion rates remain lower than on desktops (an average of 3.11% compared to 1.01% on smartphones and 2.59% on tablets). 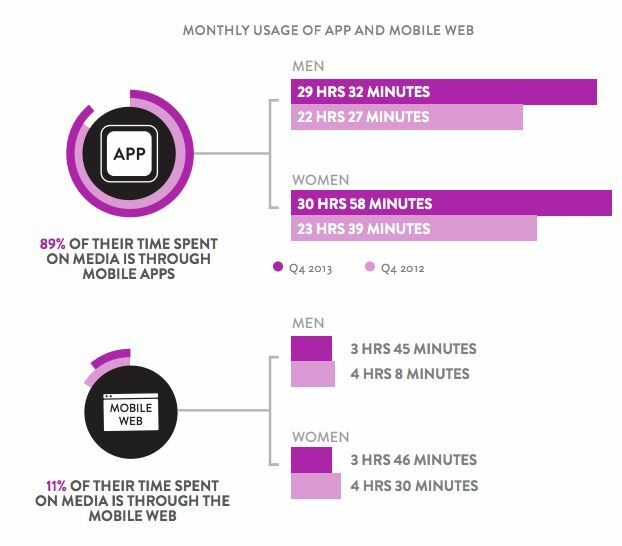 While in-app conversion rates are still something that marketers are learning about, most metrics point to the fact that it’s a big improvement on the standard mobile rates. While the conversion rate itself may not be that impressive compared to desktops, repeat users generate 25% more in-app purchases, so a business app is an excellent way to retain customers and gain repeat sales. If you’re looking to improve overall business conversions and increase profits, this is an excellent group to target.